For anyone who is nearing retirement, or is helping a loved one navigate theirs, The MetLife Mature Market Institute’s annual survey of nursing home, assisted living, and other elder care costs will be of particular interest. The recent report revealed statistics that show where you live can impact what you pay, so some may consider moving to keep costs manageable. By far the most costly of all elder care options, the average rate charged for a private room in a nursing home is $248 a day, or $90,520 each year. There is a dramatic geographic variation, with daily costs ranging from $157 (Louisiana) to $687 (Alaska). MetLife also breaks down numbers for various communities, which is especially helpful for those in larger states. For example, nursing homes are outrageously expensive in the San Francisco Bay area, but are closer to the national average in Los Angeles and San Diego. As moving might not be a feasible option for most seniors, families would do well to consider home care. Working with a reputable home care agency – specifically one that offers ClearCare’s homecare system and homecare software – will not only save time and money, but also allows seniors to stay safe and comfortable in their own homes. Unlike ClearCare’s homecare system and homecare software, which do not differentiate between clients in order to charge more, many assisted living facilities and nursing homes do. Approximately 61 percent of assisted living facilities charge extra for housing Alzheimer’s and dementia patients, which increases costs by 35 percent. For Alzheimer’s and dementia patients, nursing homes and assisted living facilities are not the only options. A trustworthy homecare system and homecare software, such as provided by ClearCare, can help the elderly, disabled, and those with special needs “age in place” at home. 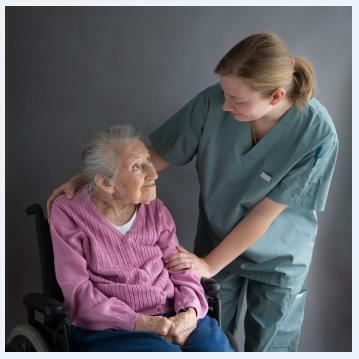 While nursing home care averages an annual cost of $90,520 and assisted living facilities cost approximately $42,600, the average cost for twenty hours a week of in-home care adds up to only $21,840. Not only do families save considerably, studies show that seniors fare much better when allowed to maintain their independence and stay at home. Even Alzheimer’s and dementia patients can remain safe and comfortable in their own homes with the help of an experienced caregiver and ClearCare’s homecare software and homecare system. Home care agencies that use ClearCare’s homecare system schedule shifts by carefully matching clients with the appropriate caregiver. Families can rest assured that only trained and certified caregivers will be caring for their loved one. With ClearCare’s homecare software, family members also have the luxury of real-time visibility to their relative’s daily point-of-care – something virtually non-existent in nursing homes and assisted living facilities. As our nation’s economic situation continues to rise and fall, ClearCare’s reputation for excellence will only continue to rise. If you have questions about what other features of ClearCare’s homecare system offers, please give us a call today!